What nominal ledger code should I book small tools bought in a mechanic garage please? 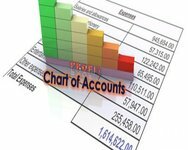 Thank you for your questions about Chart of Accounts nominal codes. There are many different number systems that can be used. The list shown below is a common system of general ledger nominal codes used in the Chart of Accounts.